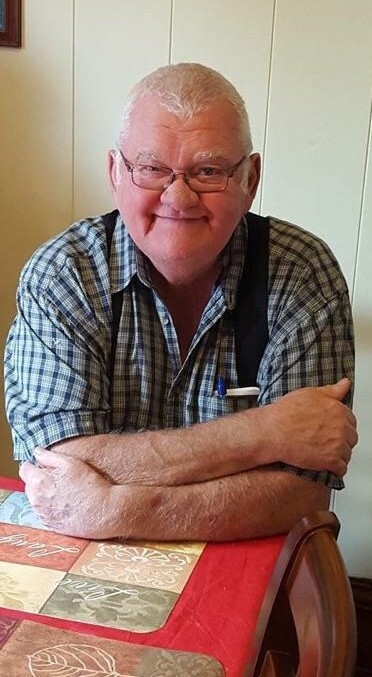 Daniel Lee Applebee, 75, of Union City, passed peacefully on February 4, 2018. He was born on February 27, 1942, son of the late Herman and Josephine Applebee. In addition to his parents, he was preceded in death by one sister, Audrey Kreutz. He is survived by one brother, Gary Applebee Sr. (Mary Ann) of Union City, PA, and one sister, Nancy Mitchell (Jim) of Albion, PA. He had three nieces Vicki Cochran (Jack) of Union City, Wendy Sisson (Larry) of Girard, Jolene Bradshaw (Rick) of Chicago, three nephews, Gary Applebee Jr., of Erie, Stephen Applebee of Union City, Robert Applebee (Crystal) of Wattsburg, and will be greatly missed by 21 great-nieces/nephews and 9 great-great-nieces/nephews. Dan worked as a heavy equipment operator for over 45 years. He built and raced drag cars in his early years and was known for his extensive mechanical knowledge of motors and equipment. His interests included fabrication, welding, tractors, and he was often sought out for specialty builds. Dan had a love for auctions and, family agrees, was a master collector of ‘treasures.’ He loved participating in tractor pulls with his numerous rebuilt collector tractors. The family would like to extend a special thanks to Jody Cass and the Brightstar Health Care staff for providing such wonderful care to their loved one, while allowing him to be in the comfort of his home. Family and friends may call on Wednesday, February 7, 2018, at the Michael S. Pandolph Funeral Home, 75 North Main Street, Union City, PA 16438, from 3 p.m. Until 7 p.m. A funeral service will be held Thursday February 8, 2018, at 11 a.m. at the funeral home. Interment will be in Wattsburg Cemetery. Memorials may be made to the Brokenstraw Antique Tractor Club New York #3, Road 1, Box 225A, Clymer, NY 14724. Online condolences may be sent to pandolphfh.